Time is muscle if the heart is not getting the proper blood flow to the muscle, the muscle dies. The muscle is unable to repair itself and eventually that portion that dies is converted to scar tissue. Scar tissue is not flexible and doesn’t push the blood out of the chamber of the heart. If the blood is not pushed through the heart the amount circulating through the body is reduced. This can lead to serious heart related complications, including congestive heart failure, angina, shortness of breath and limited ability for physical activity. This creates complications for many things including returning to work, or causing early retirement as the article above discusses. Discomfort, squeezing, pressure, heaviness, aching…in the chest, between the shoulder blades, the neck, jaw or down the arms are the classic symptoms. If accompanied by shortness of breath, nausea, profuse sweating the condition is all the more urgent. Chew up 325mg aspirin and call 911. Below is some of the content from the above listed web site. It is a great resource for helping heart patients to understand the warning signs of heart failure and the actions to take. If you are a heart patient, or the significant other/caregiver take the time to review this site. It is important sometimes the symptoms sneak up on you. Heart failure can be managed well with the right treatment and lifestyle adjustments, as recommended by your doctor or nurse. However, it is important to monitor all your symptoms on a regular basis as heart failure can progress slowly. You can use the list on the left or any of the links below to learn more about the symptoms you should be monitoring and what to do if they get worse. To help you monitor your symptoms, please click on the links below to find useful resources that you can download, print and fill in. You can then take these with you when you see your doctor or nurse and discuss your symptoms. One of the best things a person who is suffering from depression can do is to get daily exercise. Yet it is one of the hardest things to do when depressed. I would encourage patients to at a minimum schedule themselves 10 minutes per day of exercise. I know it is a very short duration, but it is a starting point. We build from there. If you are a significant other of someone you suspect is depressed, don’t nag them to exercise, rather help them to engage in it. Offer to go for a walk, or go to the gym together. For many suffering from depression winter can be especially difficult. The holidays may trigger episodes, a change in healthy eating habits to the holiday party foods, a change in exercise habits due to weather changes, getting out and socializing less due to weather, loss of loved ones, and seasonal effective disorder can all be a catalyst for symptoms to worsen. If you note this contact your healthcare practitioner, consider counseling, increasing exercise, getting sunlight every day, and/or medications. It is important because if depression isn’t treated often heart disease worsens. Many studies have linked depression to an increased risk of death in heart disease patients. However, anxiety hasn’t received as much attention. Studies show that depression is about three times more common in heart attack patients. The American Heart Association recommends that heart patients be screened for depression and treated if necessary. Researchers, after accounting for age, congestive heart failure, kidney disease and other factors that affect death risk, found that 90 of the 934 patients experienced anxiety only, 65 experienced depression only and 99 suffered anxiety and depression. Among 133 patients who died during three years of follow-up, 55 had anxiety, depression or both. The majority of deaths (93 of 133) were heart-related. Researchers measured anxiety and depression during cardiac catheterization because levels better reflected how patients normally handle stressful situations. Anxiety and depression each influence risk of death in unique ways. Anxiety, for example, increases activity of the sympathetic (adrenaline-producing) nervous system that controls blood pressure. People who worry a lot are more likely to have difficulty sleeping and to develop high blood pressure. The link between depression and mortality is more related to behavioral risk factors. Depression results in lack of adherence to medical advice and treatments, along with behaviors like smoking and being sedentary. Future studies should test strategies to manage anxiety alone and with depression in heart disease patients. Anxiety reducing medications combined with stress management could improve outcome for patients with just anxiety, whereas patients with anxiety and depression may need a stronger intervention involving more frequent outpatient monitoring and incentives to improve adherence. The job of the kidneys is to filter the excess sodium into the urine so that the body can get rid of it. Many with heart disease and diabetes kidneys cannot handle all the extra work. The kidneys become less efficient at filtering the blood stream. This causes excess sodium to enter the bloodstream. 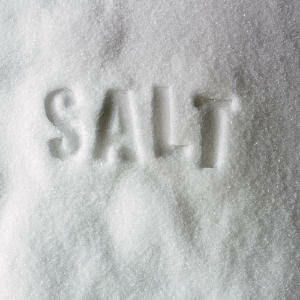 Sodium attracts water to it and effect known as being osmotic. Water follows the sodium and is drawn into the bloodstream. Excessive salt keeps the circulatory volume higher than it should be, creating and increased pressure in the blood stream and pressing on the blood vessel walls. The stress of the pressure on the walls creates thickening and narrowing of the vessel, leaving less space for the fluid in the blood vessels and raising resistance. The body then requires higher pressure to move blood to the organs. The heart has to pump against this high pressure system. I equate it to trying to blow up one of those kids balloons that is turned into animal shapes. They are really tough to blow air into, your cheeks get really sore – this is the resistance of air, similar to the resistance pressure of blood in the arteries. If you stretch the balloon (relax the arteries) then there is less resistance in blowing up the balloon (filling the artery with blood). Twenty percent of the blood pumped from the heart goes first to the kidneys. High blood pressure within the kidneys cause damage to the heart and to the vascular system in the kidneys. Salt makes you thirsty so limit salty foods, especially if on a fluid restriction. I once had a patient who lost 45 lbs simply from adhering to low sodium diet. He had a very weak heart with only 10% ejection fraction meaning very limited pumping ability. So a weak heart and sodium in the diet made him retain fluid more than most. He began to measure and count sodium with every meal for a few months and was shocked by how much sodium he consumed even though he thought he ate pretty healthy. By reading labels, doing the math every day and making changes such as eating out less, ordering special, reviewing his medication he lost the fluid and added years to his life, not to mention the improved quality of life with less shortness of breath and fatigue by easing the workload of the heart. According to the American Heart Association, eating more than the recommended 1500 milligrams a day puts you at direct risk of high blood pressure. Yet in America we consume an average of 3400 milligrams a day; more than twice what we should. While people with hypertension, heart and kidney disease are always advised by doctors to eat less salt, the AHA wants all of us to do this, whether or not our blood pressure is currently in the normal range. So if you are cooking or know the cook for pass this info on! When holiday meal are upon us remind heart patients of being acutely aware of the sodium content in foods. The holiday meal contributes to many heart patients having increased symptoms of high blood pressure, congestive heart failure, fluid retention, shortness of breath. The holiday meals can be the culprit. Traditional foods like the turkey are often injected with approximately 8% solution sodium to enhance moistness and flavor. If you read the ingredients you will often note: turkey broth, salt, sodium phosphates, sugar & flavoring. Then many a cook will soak the already salt injected turkey in a brine solution or salt it well, prior to cooking. The turkey alone gets many into trouble, then you add pre-packaged stuffing, broth, or use canned mushroom soups in casseroles. Did I mention the relish tray with pickled foods? A little extra salt in or on your holiday foods makes a difference. Bread is a major sodium contributor if you eat more than a couple of pieces a day unless you buy special low sodium bread. A slice (1 ounce) of loaf bread has 150 to 200 mg sodium—not including salted butter or other spreads or toppings. Consider using a bread maker to make a low sodium recipe. Skip the gravy! But if you must go for low or reduced sodium gravy instead of regular salted gravy which has more than 300 mg sodium for 1/4 cup. Unsalted, no salt added, or without added salt: Made without the salt that’s normally used, but still contains the sodium that’s a natural part of the food itself. Some drugs contain high amounts of sodium. Need an antacid after that holiday meal? Watch out there is excess sodium there too. Carefully read the labels on all over-the-counter drugs. Look at the ingredient list and warning statement to see if the product has sodium. A statement of sodium content must be on labels of antacids that have 5 mg or more per dosage unit (tablet, teaspoon, etc.). Some companies are now producing low-sodium over-the-counter products. If in doubt, ask your healthcare practitioner or pharmacist if the drug is OK for you. For many with heart disease it is a battle to remain living, yet know you are dying from a diseased heart. Many don’t discuss with their healthcare practitioners the choices and decisions they have when it comes to fighting to stay alive or choosing to let go. Over my career I have watched many patients suffer trying numerous medical interventions and medications only to have a horrible quality of life. In the medical community we see patients literally beg their doctors to let them pass, and yet the physician urges them to fight on with the newest surgery or medication. These are issues that heart patients should be able to discuss with their families and health care providers early on, so everyone has a clear picture of your wishes. Don’t stop treatment that prolongs your life. If there is a good chance that your illness can be cured or managed, your doctor may advise you to first try available treatments. If these don’t work, then you might think about stopping treatment. If you stop treatment, you may still receive care that focuses on pain relief, comfort, and the quality of your life. This is called palliative care or hospice care. A decision to stop treatment that keeps you alive doesn’t have to be permanent. You can always change your mind if your health starts to improve. You need life support because of an emergency that is not related to your illness. Life support may help you return to your normal activities. Your quality of life is good and you have a sudden event that requires life support..
You could recover well from the event. You have other long-term health problems that make it less likely that you will benefit from life support. The risks of life support outweigh the benefits. Life support will not help you return to your normal activities or to a level of activity you would like to have. Do you have an ICD? Palliative care relieves the symptoms of disease, such as pain, shortness of breath, fatigue, constipation, nausea, loss of appetite and difficulty sleeping. It helps you gain the strength to carry on with daily life. It improves your ability to tolerate medical treatments. And it helps you have more control over your care by better understanding your choices for treatment options. Including decision-making and coordinating of issues such as ICD deactivation. The point of palliative care is to relieve suffering and provide the best possible quality of life for both you and your family. Palliative and hospice care is often left for the very end of life. By initiating palliative care earlier it reduces emergency department visits and improve symptoms, which increases time at home and quality of life. Palliative care teams are made up of doctors, nurses, and other professional medical caregivers, often at the facility where a patient will first receive treatment. These individuals will administer or oversee most of the ongoing comfort-care patients receive. While palliative care can be administered in the home, it is most common to receive palliative care in an institution such as a hospital, extended care facility, or nursing home that is associated with a palliative care team. There are no time restrictions. Palliative care can be received by patients at any time, at any stage of illness whether it be terminal or not. Hospice programs far outnumber palliative care programs. Generally, once enrolled through a referral from the primary care physician, a patient’s hospice care program, which is overseen by a team of hospice professionals, is administered in the home. Hospice often relies upon the family caregiver, as well as a visiting hospice nurse. While hospice can provide round-the-clock care in a nursing home, a specially equipped hospice facility, or, on occasion, in a hospital, this is not the norm. You must generally be considered to be terminal or within six months of death to be eligible for most hospice programs or to receive hospice benefits from your insurance. Our health care system faces the challenge of allocating limiting resources to an aging population. The focus is on solutions that improve patient quality of life while minimizing unnecessary expenses. Integrating palliative care into the health care system at an earlier time helps quality of life and reduced cost associated with the disease process.